I’ll be honest: Despite the fact that I have cannabidiol (CBD) products sent to me practically every day and am well aware of the plethora of wellness benefits attached to the ingredient, I haven’t really used it consistently myself. As I got to thinking, however, that might be a miss on my part. After all, the cannabis plant’s non-psychoactive component is known to combat inflammation, bust stress, and has a wellness resume that’s roughly a mile long. So when I found out that New York City’s hip cafe-manicure-massage studio Chillhouse on the Lower East Side was offering massages with CBD-spiked products, I scheduled an appointment right then and there in hopes that it, too, would help soothe my sore muscles resulting from a lot of Barry’s Bootcamp classes. While massage is a already science-backed way to help workout soreness, I was intrigued by what CBD would add to the experience. Chillhouse assistant general manager and lead licensed massage therapist Demetri Travlos told me that the CBD coupled with massage would, indeed, help to ease tightness and get me on my feet for another Barry’s sesh in a jiff. “Is there a part of your body that’s hurting you?” my massage therapist Sabrina Rajkumar asked me upon entering the serene, peach-colored and palm-leaf decorated treatment room. “My legs are always sore,” I replied (because: tread life). Rajkumar proceeded to start on my back, like a regular massage, getting out all my stress-related knots—so far so good. This was with regular lotion, however—so, when she moved down to my legs, she whipped out the CBD balm. Upon first touch, it felt cold—but as she massaged it into my skin, I got used to the cooling sensation. Combined with the kneading motions of Rajkumar’s hands, the workout-induced pain in my calves and hamstrings seemed to be dissolving into thin air. When I leave Chillhouse and walk into the humid New York City evening, I notice that the heaviness that I usually feel in my gams isn’t there anymore. Typically, even walking is a chore after doing so many sprints on an incline—but the CBD (coupled with the massage) seems to have been successful in vanquishing that seriously annoying soreness. I feel as though I could go run a mile without any pain (though in my blissed-out state, I decide not to). 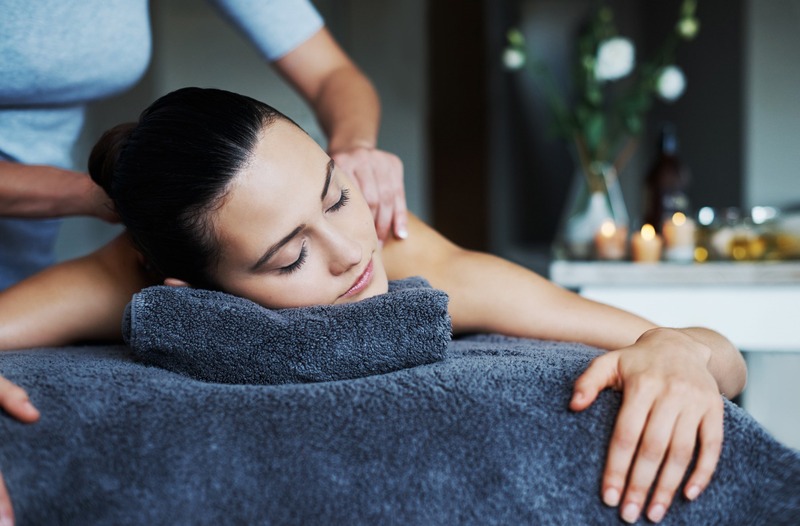 But of course, while the offer of a massage is always glorious, you don’t have to run to a spa in order to reap the benefits—you can give yourself a CBD massage right at home if you have a CBD topical (try Lord Jones High CBD Pain & Wellness Formula Body Lotion). “If you want to massage your calf, for instance, it’s best done with the help of a tool like a rolling pin,” says Travlos, who recommends applying the lotion to your desired spot and then rolling over it to work away knots. Depending on what muscles are tight however, you can still try a CBD product to amp up your experience. Consider it the highest form of self-care. Should your massage actually hurt? Here’s the truth, once and for all. You could also do these yoga moves that feel like a massage.